The 665 is the first of its kind to offer an Ambidextrous Push-Button (APB) to release the lock while offering the quick-deployment of the AXIS-Assist mechanism. A safety above ensures trouble-free operation and safe use. 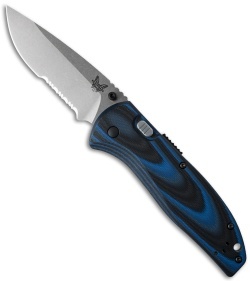 Benchmade's 665S has a stonewash finished, partially serrated drop point blade with thumb stud opener. 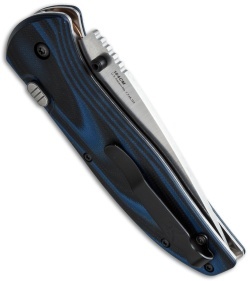 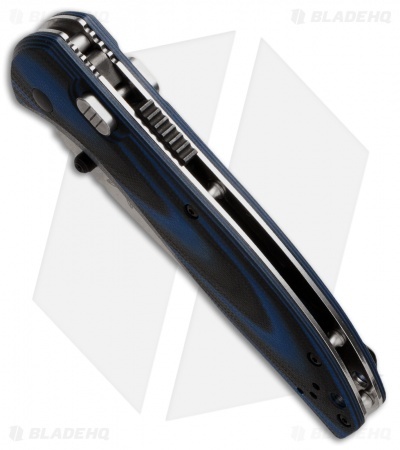 Layered black/blue G-10 scales are fastened to a stainless steel frame for superior strength and a reversible, deep carry pocket clip makes the 665 APB an obvious everyday carry choice.